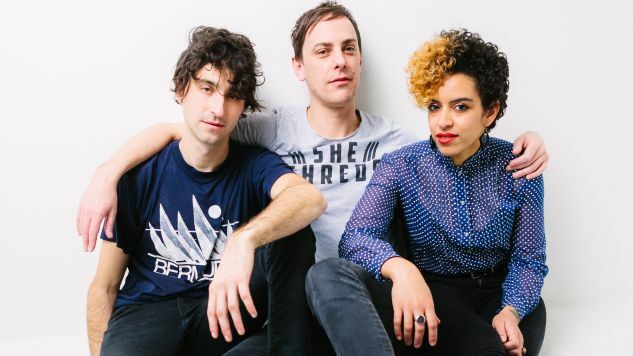 On Monday, Portland indie-rock trio The Thermals announced their split via Twitter after 15 years as a band. We are officially disbanding! After 15 years and 7 records, we feel our band has reached far beyond our initial expectations and goals, and are stepping away from it while we still cherish it. We traveled further, soared higher and played louder than we ever dreamed, and look forward to a new chapter in our lives, our art, and our friendship. We would like to thank all the great labels who have released our records and the amazing people who have worked so hard for us! Most importantly we would like to thank our fans, who we consider to be some of the smartest, sweetest and most compassionate people in the world. We love you, and we hope to see you again some day. Formed in 2002, the band released seven albums, the first three on Sub Pop, two records on Kill Rock Stars and their two most recent albums on Saddle Creek. Their latest album, We Disappear, was released in 2016. Harris and Foster were both in the band from its inception to their breakup, and they had multiple drummers throughout the band's history, with Glass coming on board in 2008. Welsh indie-pop band Los Campesinos! posted a tweet in support of the band and thanked them for influencing their own music. Thank you for all the music. You were a big influence on our forming a band and to this day we are proud of the one time we got to support you ???? Their former label Sub Pop also showed their love for The Thermals and mentioned their past history with the group. So proud to have been part of your story. Much love for you here, always ???? Paste spoke to The Thermals about their album We Disappear and how accomplished they felt as a band at that current moment back in 2016. You can revisit that interview here and watch a 2009 performance of the band from the Paste Cloud below.